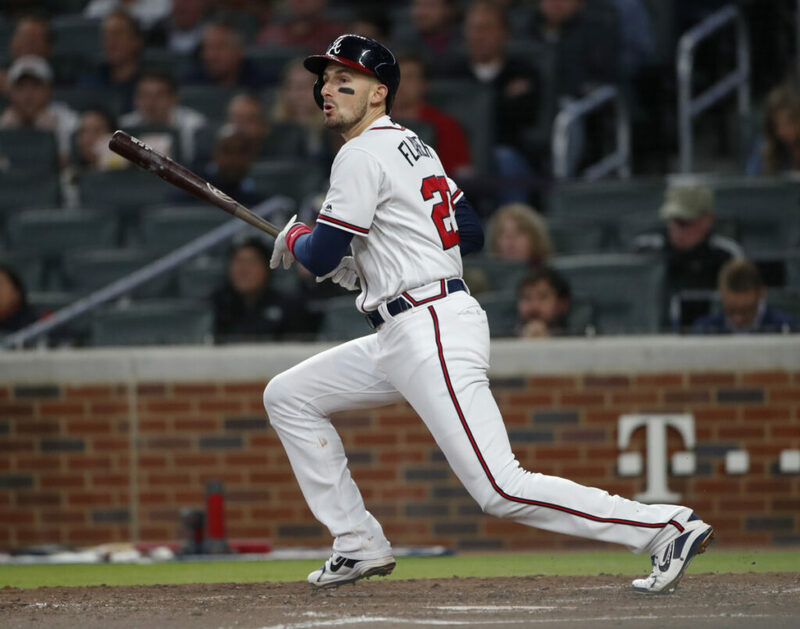 The veteran infielder played with the Atlanta Braves last season. Ryan Flaherty has a destination for spring training. Flaherty, a Portland native and former Deering High standout, signed a minor league contract Thursday with the Cleveland Indians. He’ll report to the Indians’ training camp in Goodyear, Arizona, next week. Flaherty, 32, became a free agent after playing last season for the Atlanta Braves. Flaherty will be one of the 17 non-roster invitees to the Indians’ major league camp. As many as six players will compete for a utility player position, including Flaherty. A veteran of seven major league seasons (533 games), Flaherty has the most experience of the six. He’s a career .216 hitter. Last year’s primary utility player in Cleveland was Erik Gonzalez. He was traded to Pittsburgh in a multi-player deal, which included utility player Max Moroff going to Cleveland. Moroff, 25, a switch hitter, has played 84 major league games over three seasons with a .193 career average. He’s on Cleveland’s 40-man roster with two other infielders who have no major league experience. Of the three utility players on minor league contracts, one (Mark Mathias) has no major league experience. Mike Freeman, 31, has played in 57 major league games with four teams over the past three seasons, batting .134. Flaherty said he’ll report to Goodyear – a suburb of Phoenix – next Wednesday. This is his first spring training in Arizona since coming up in the Cubs’ organization. Chicago selected him in the first round of the 2008 draft. The Cubs never put Flaherty on their 40-man roster and the Orioles grabbed him in the Rule 5 draft in December 2011. He played the next six seasons in Baltimore. Flaherty also was a free agent last winter before signing a minor-league deal with the Phillies. When it looked like he would not get a major league opportunity with Philadelphia, he asked for his release in late March and signed with the Braves. He batted .217 for Atlanta and appeared in two playoff games. This winter Flaherty worked out in Maine and Florida, waiting to hear from his agent. Did Flaherty worry that a call wouldn’t come?